I'm using Emacs every day, almost for all, in fact i need only two user-level applications at my computer, they are Emacs and web browser (despite on eww in Emacs 25). I use Emacs almost for all, for text editing, for chatting in irc, email reading/writing, files manipulations, as my TODO list and many many more (and this blog post was written in Emacs too). 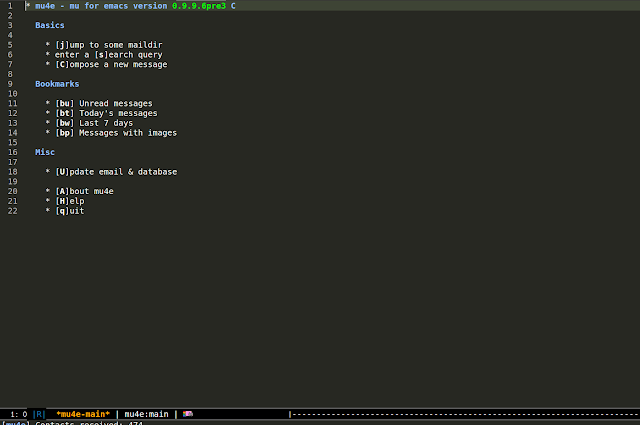 Today i want to tell how to use Emacs for email handling. I will show how to install mu4e and offlineimap and configure Eemacs for handling emails from multiply accounts with this tools in ubuntu-14.10. If you're interesting read next. After these commands execution mu and mu4e should be installed. 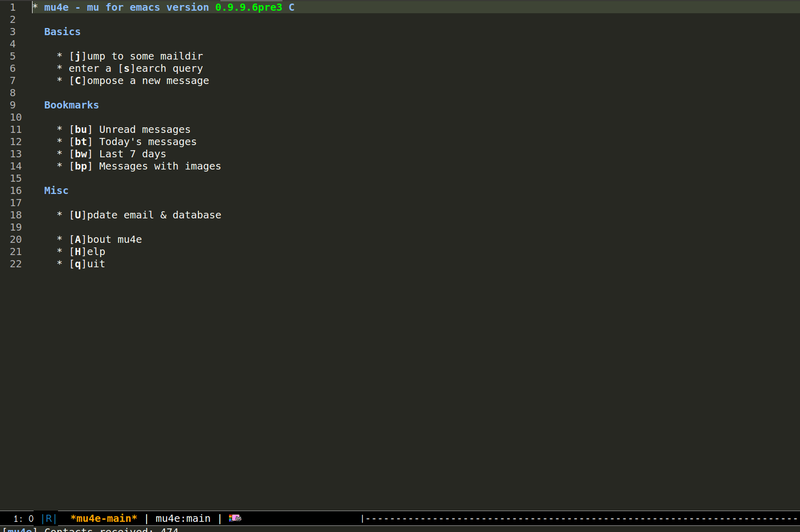 It will fetches all mail from your mail servers, so you can work with it in Emacs. This is the end. 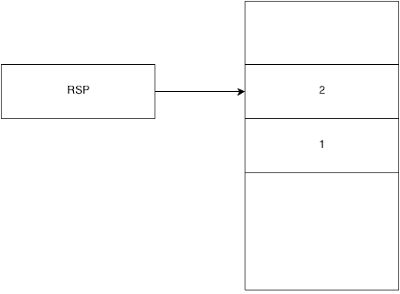 In this post i told how to configure Emacs + mu4e + offlineimap for email handling. As a longtime Emacs user I'm very interesting how and for what do you using Emacs, what extensions and what tasks Emacs helps to solve you, write me a comment about it. Hope this post was useful for you. p.s. English is not my first language, so you'll find mistakes in blog post please write me in comments, ping me at twitter - twitter, or drop me email.